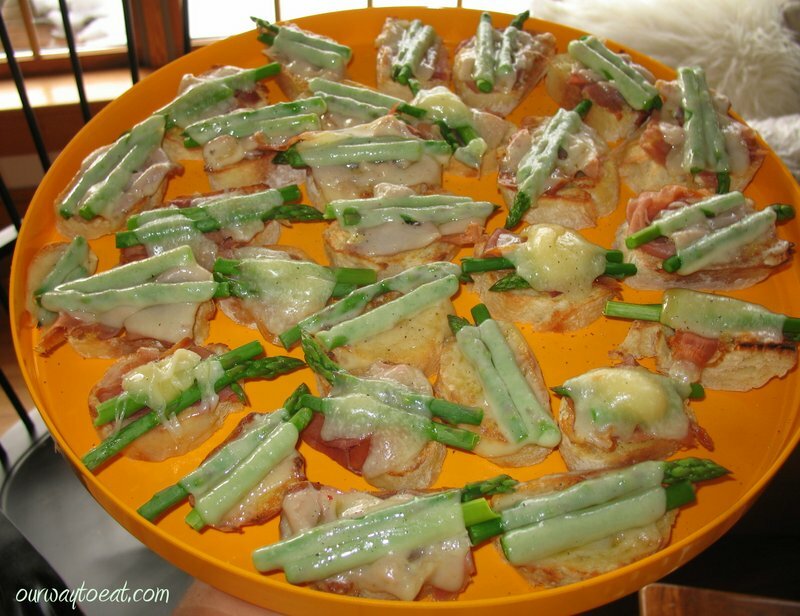 This entry was posted in Appetizers, Brunch, Easy, Lunch, Omnivore, spring, Vegetarian and tagged Asparagus, Brunch, Easter, Prosciutto, Rachael Ray, Swiss Cheese, Toasts by Our Way to Eat. Bookmark the permalink. It looks delicious. I would like to try it.